This Plan was adopted by the LA County Board of Supervisors on June 16, 2015. This draft reflects the changes that have been incorporated by the Regional Planning Commission on September 27, 2014. This version will be considered before the LA County Board of Supervisors on November 12, 2014 for adoption. If you have received a “Notice of Public Hearing and Availability of EIR” postcard, your property may be affected by a zone change. Instructions on how to determine whether your property is subject to a zone change are available here. You may also determine whether your property is subject to a zone change by searching for your property on this list. You may search the list by Assessor Parcel Number (APN) by entering Ctrl + F, and then typing in your full APN with no dashes. This draft reflects the version of the plan analyzed in the DEIR. Changes from the July 2014 version are shown as tracked changes for ease in reference. For additional information about the zoning consistency program, please click here. These draft materials provide a platform to begin a dialogue on utility-scale renewable energy projects in unincorporated Antelope Valley. Revisions will be made based on public feedback. These products provide the policy framework for future development and conservation efforts within the unincorporated areas of the Antelope Valley. Once adopted, zoning and other implementation measures must be consistent with this proposed Antelope Valley Area Plan. 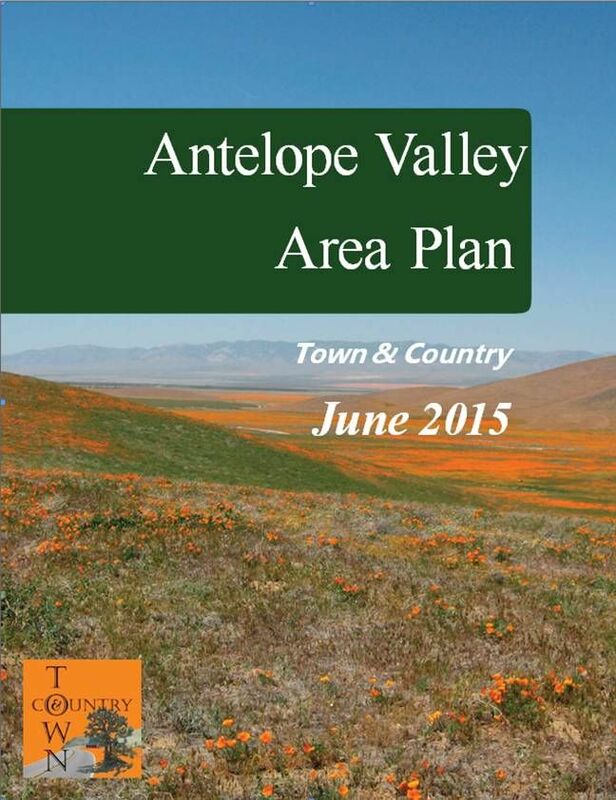 This document describes the existing conditions within the Antelope Valley. 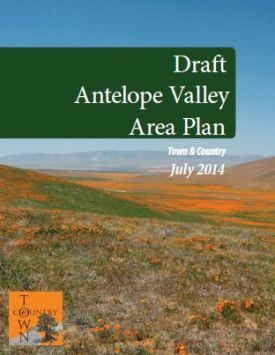 Facts and statistics from this report will help formulate the updated Antelope Valley Area Plan. This document summarizes the GOALS meetings the Department of Regional Planning hosted in July 2008. Statistics are provided on the goals drafted at the meetings. This document summarizes the VISION meetings the Department of Regional Planning hosted in June 2008. The Valleywide Vision Statement presented here encapsulates the themes presented at the meetings and provide a basis for developing goals and policies. This document summarizes the discussions that Department of Regional Planning staff has had with Valley stakeholders in September and October 2007. 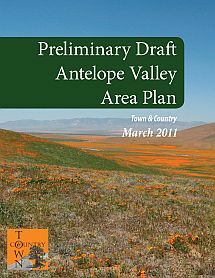 It provides a basis for understanding current conditions and future needs in the Valley as Town & Country moves forward.